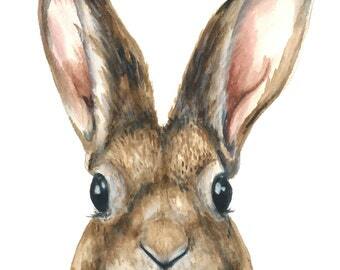 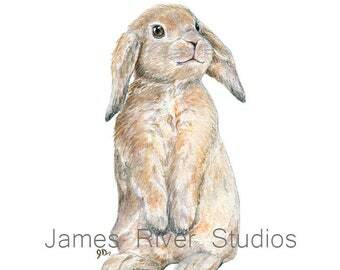 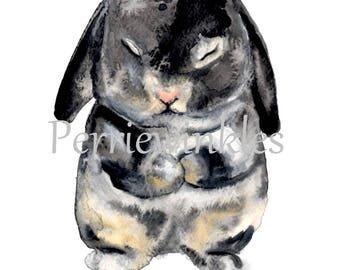 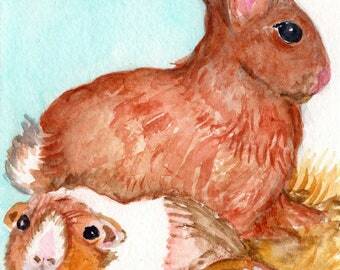 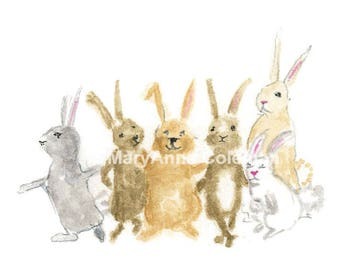 Original bunny watercolor painting. 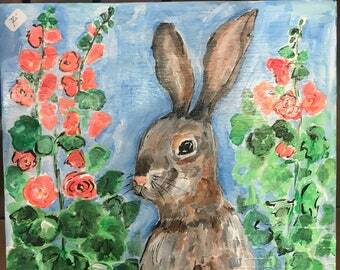 Unframed watercolor. 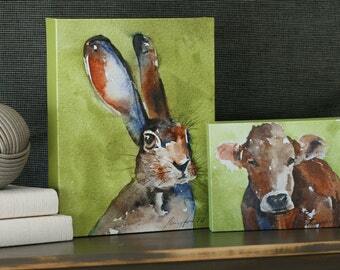 Easter decor. 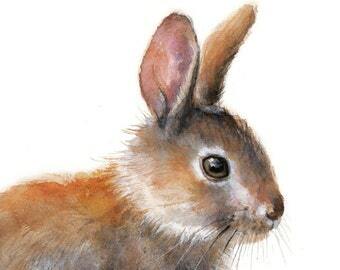 Rabbit watercolor. 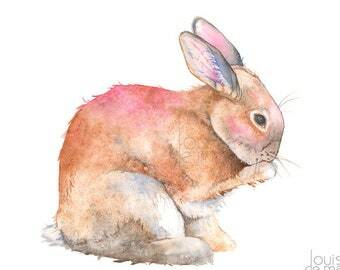 Bunny painting. 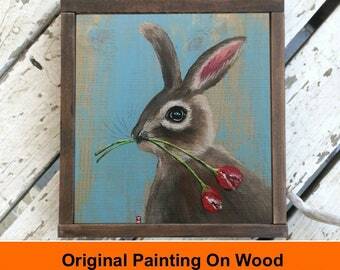 Bunny wall art. 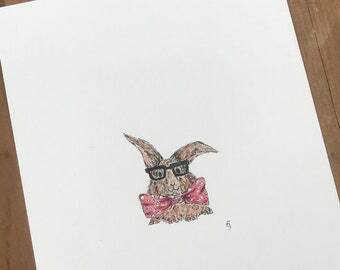 Bunny artwork.